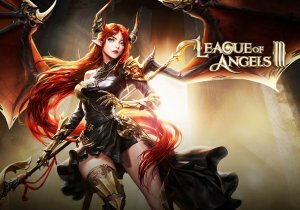 League of Angels III has ended its open beta phase and is proud to go into full launch all over the world. This is the third of the turn-based “League of Angels” games and has been out since late May. The official release happened on August 14th (with the first Oceanic Server starting up at 11 am UTC+8). Since the game’s open beta, the League of Angels III team received an overwhelming amount of requests for European and Oceanic servers, and are now able to deliver servers going online on August 14th. The first Oceanic server “Pavara” will be online on August 14th, and the first European server “Balerius” on August 15th. With brand-new 3D graphics, effects and a story, this battle between Angels and Dragons has officially commenced. Hundreds of equipment sets, relics, wings, heroes, mounts and more are waiting on players to uncover them. German, French, Spanish, and Portuguese Language Packs are completed, and players will be able to alter their in-game language, with more languages planned. Those who won the “Arena Competition” during the closed beta have also had the chance to name two of the upcoming servers – “Coliseum” by Gasper and “Burning Chaos” by DMOC.